The Backyard Brawl is returning to yet another sport — women’s basketball. Pitt announced in a press release Thursday afternoon that its rivalry with the West Virginia University women’s basketball program will resume Dec. 7, in Morgantown, West Virginia. The rivalry — which has been dormant for five years — will alternate between Morgantown and Pittsburgh through 2020. Following a disappointing 2016-17 season which saw the Panthers go 13-17, the Mountaineers will provide a difficult task for Pitt head coach Suzie McConnell-Serio. WVU is the reigning Big 12 Champion and ended the season ranked No. 22 in the Associated Press Top 25 with a 24-11 record. Since the series began in 1975, the teams have met 44 times. The rivals last played Feb. 27, 2012 — a 60-42 loss for the Panthers. WVU owns a 26-18 series lead and won the last three contests before leaving the Big East after the 2011-12 season, bringing the series to a halt. This announcement is the latest in a series of Backyard Brawl renewals. In 2015, the Pitt football program announced the return of the once-heated rivalry with a four-game series from 2022-25. The men’s basketball program followed suit last September with a series from 2017-20. The meeting will be McConnell-Serio’s first time coaching in the rivalry. 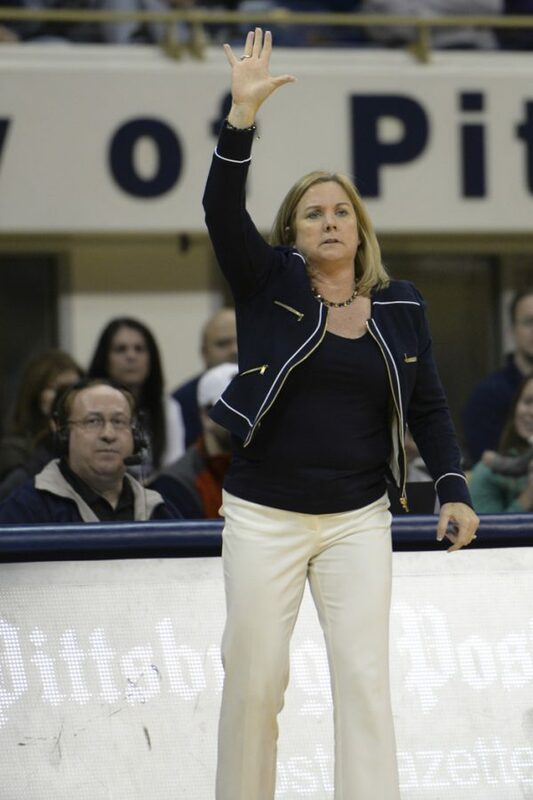 She began coaching at Pitt in 2013, shortly after the annual matchup fell apart.